Texas Gov. Greg Abbott on Tuesday announced he was calling the Legislature back for a special session to address must-pass “sunset” legislation and 19 other measures. Here’s what Texans can expect ahead of July 18. Texas Gov. Greg Abbott announced Tuesday he was calling lawmakers back to the Capitol for a special session in mid-July to work on an ambitious 20-item agenda. The announcement comes after both chambers failed to pass must-pass “sunset” legislation, jeopardizing several government agencies, including the Texas Medical Board, which licenses doctors across the state. We’ve compiled an overview of what Texans should expect this summer as lawmakers return to Austin. A special session amounts to legislative overtime. If lawmakers reach a stalemate on key issues or if the governor decides the legislative show must go on, he or she can call for a special session. The premise is similar to that of a regular session — except the governor's the one calling the shots this time. During a regular session, lawmakers can consider bills on any topic; during a special, if a bill is not on the governor's agenda, it's out of bounds. Another difference is the time — legislators only have 30 days to do their work. And unlike the predictability of a regular session, the governor can call a special session at any time, without any warning. Special sessions can be called when must-do items — like the state budget — haven’t been completed. But throughout the state’s history, special sessions have been called for issues like school finance, state agency reform or redrawing the boundaries of legislative or congressional districts. The governor determines the agenda in his “call,” which lets both chambers know what’s up for consideration. Excluding other costs related to the use of the Capitol, a one-month special session can cost anywhere from $716,100 to $819,000 in lawmaker and staff per diems, Politifact previously reported. There have been 119 special sessions since 1850, according to Legislative Research Library records. Former Gov. Rick Perry called 12 special sessions during his 15 years as governor. The last special session occurred in May 2013, when Perry called lawmakers back to address issues such as redistricting and transportation infrastructure projects. When and for how long will it be? The Texas Constitution requires lawmakers to meet every two years for no more than 140 days. Beyond that, the governor can call the Legislature back for as many special sessions as he or she wants, with each lasting no more than 30 days. This year's special session is set to start July 18. Lawmakers can start prefiling bills 30 days before the session begins. 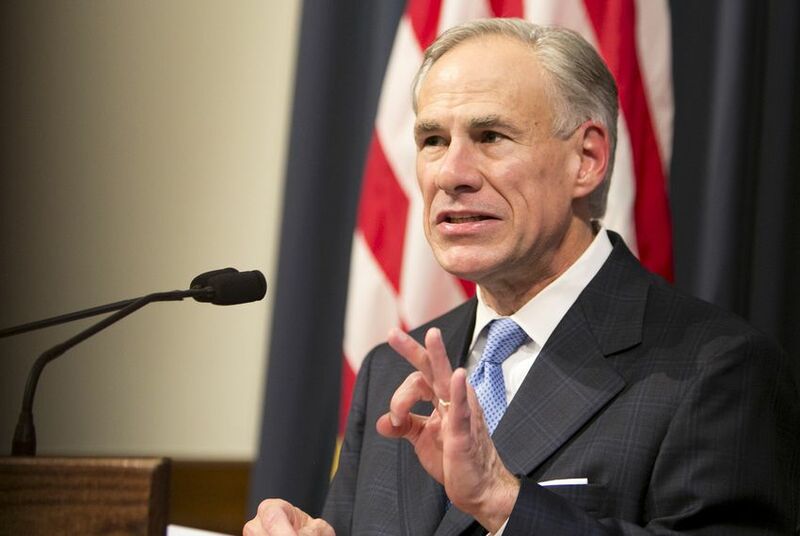 "Because of [legislators'] inability or refusal to pass a simple law that would prevent the medical profession from shutting down, I’m announcing a special session to complete that unfinished business," Abbott told reporters Tuesday during a news conference. "But if I’m going to ask taxpayers to foot the bill for a special session, I intend to make it count." What will lawmakers be debating in July? Lawmakers can file all the bills they want, but the Legislature can only consider bills the governor has put on the call. Other issues may be added by the governor during a session. This year's special session has an ambitious 19-item agenda — including a "bathroom bill" — but only after the approval of must-pass “sunset” legislation that failed to advance during the regular session. An overtime round, Abbott said, was "entirely avoidable." State Rep. Jonathan Stickland, R-Bedford, tweeted Tuesday that he plans to refile a "constitutional carry" bill — which would give all Texans the right to openly carry a firearm, with or without a permit — that failed during the regular session but isn't currently on Abbott's agenda. And while a “privacy” act is on Abbott’s call for the special session, the House sponsor of a so-called bathroom bill, state Rep. Ron Simmons, R-Carrollton, said he plans to refile House Bill 2899, which would have gutted cities' and school districts’ transgender-inclusive bathroom policies. How many days have previous special sessions lasted? While special sessions typically go the full 30 days, they can be a lot shorter. In 2009, for example, Perry called lawmakers back to the Capitol for a special session on July 1 — a full month after the end of that year's regular session — with three items on the agenda. Members addressed all three issues the next day, returning home in time to celebrate the Fourth of July with their families. Will committees (and other legislative procedures) still work in the same way? Each bill filed during a special session will be assigned to a committee, which will then hear whatever pieces of legislation the panel decides to bring forward. House bills voted out of committee will go to the Calendars Committee before they can come to the floor a vote, and the same rules apply to get a bill placed on the Senate’s intent calendar. Will Abbott call another special session if lawmakers don’t pass all 20 of his measures? While Abbott hasn’t said if he plans to keep calling lawmakers back if they don’t pass all 20 of his measures, there’s no limit on the number of special sessions that can be called between regular legislative session. That's right — if the governor's not satisfied at the end of the 30 days, he can call another session. So, theoretically, Abbott could keep lawmakers in the Capitol until the next regular session. In '89, Gov. Clements kept the houses in for a whopping six special sessions, spanning just under a year. What questions do you have about Texas politics?